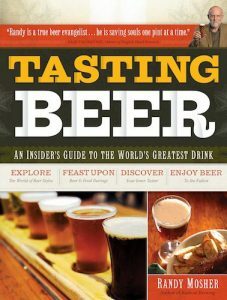 A must have book for every homebrewer and beer geek, Tasting Beer: An Insider’s Guide to the World’s Greatest Drink is sure to be a favorite. This is a beautiful book full of illustrations and content other than just the in-depth text. This book covers in great details how to taste beer and homebrew, and how to accurately distinguish and describe its’ complexities, qualities and faults. This book also goes beyond just tasting beer and provides useful information about the history of beer, food and beer pairings, and beer style descriptions and examples. Another phenomenal book that makes a great gift for all beer drinkers and homebrewers, who will enjoy and come back to more than once.